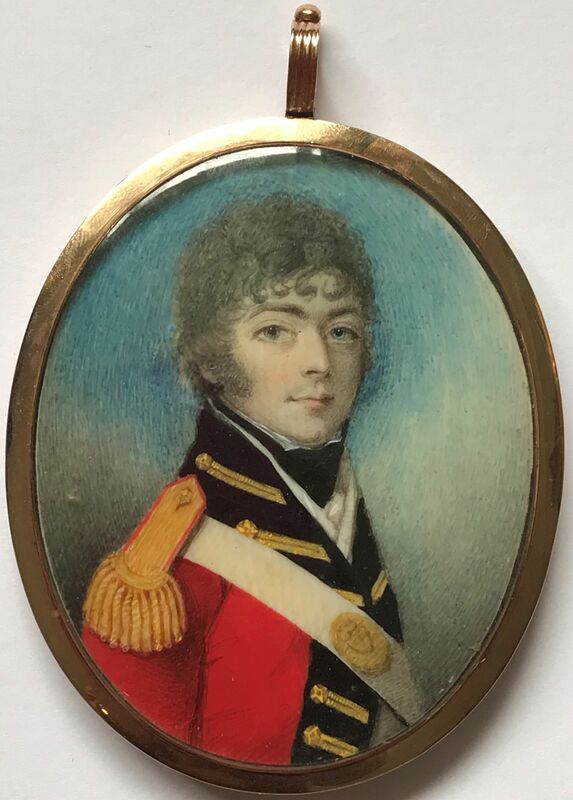 This handsome young cavalry officer in his red coat adorned with gold braid and epaulette has a steady gaze and confident demeanour. 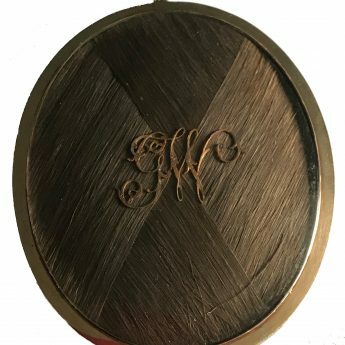 One wonders though if he is perhaps more akin to the infamous and unprincipled George Wickham in Jane Austen’s Pride and Prejudice with whom he shares his initials. The style of painting is suggestive of the hand of Mrs Anne Mee, one of the few female artists working commercially in England during the late eighteenth and early nineteenth century. Having learned painting in her father’s studio, she was obliged to put her brushes to profitable use upon his early and unexpected demise. Subsequent to her marriage to an Irish barrister however, she was permitted to “paint ladies only who were never to be attended [at the sittings] by gentlemen’. So portraits of gentlemen, especially devilishly handsome young gentlemen, by her are necessarily rare. 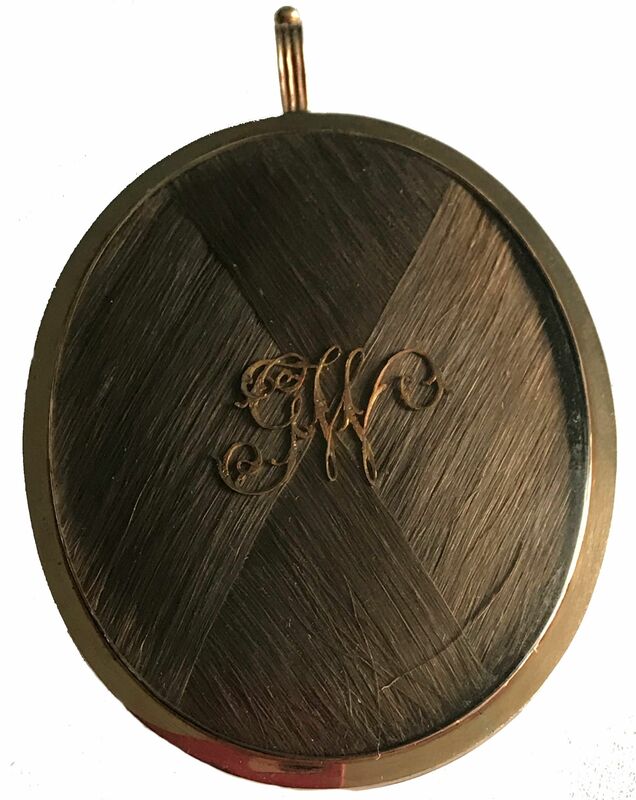 The portrait is set in the original (untested) gold frame that is glazed on the reverse to reveal plaited hair surmounted with the monogram GW (George Wickham?! ).